The Bitter Years was the title of a seminal exhibition held in 1962 at The Museum of Modern Art, New York, curated by Edward Steichen, and 2012 marks its fiftieth anniversary. The show featured 209 images by photographers who worked under the aegis of the U.S. Farm Security Administration (FSA) in 1935–41, as part of Roosevelt’s New Deal. The FSA, set up to combat rural poverty during the Great Depression, included an ambitious photography project that launched many photographic careers, most notably those of Walker Evans and Dorothea Lange. The exhibition featured their work as well as that of ten other FSA photographers, including Ben Shahn, Carl Mydans and Arthur Rothstein. Their images are among the most remarkable in documentary photography-testimonies of a people in crisis, hit by the full force of economic turmoil and the effects of drought and dust storms. This volume includes all the photographs in the original show, in a structure and sequence that reflect those devised by Steichen for the exhibition. The Bitter Years was the last exhibition curated by Steichen as Director of the Department of Photography at MoMA, in which role he had won international acclaim for his 1955 The Family of Man exhibition. Essays by Jean Back, Gabriel Bauret, Ariane Pollet, Miles Orvell and Antoinette Lorang discuss the FSA, its place in the history of twentieth-century photography and the continuing role of its archive, and Steichen and the origins, impact and legacy of the exhibition. 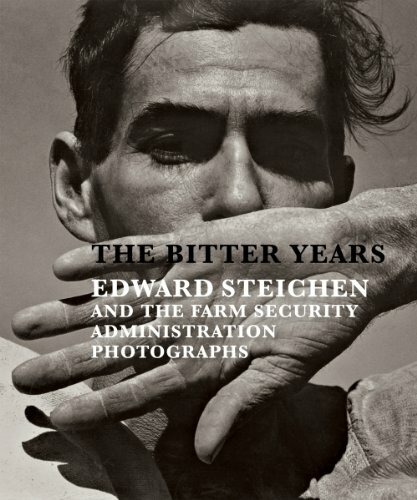 The Bitter Years celebrates some of the most iconic photographs of the twentieth century, and-since no proper catalogue was produced at the time-provides a whole new insight into Steichen’s impact on the history of documentary photography.